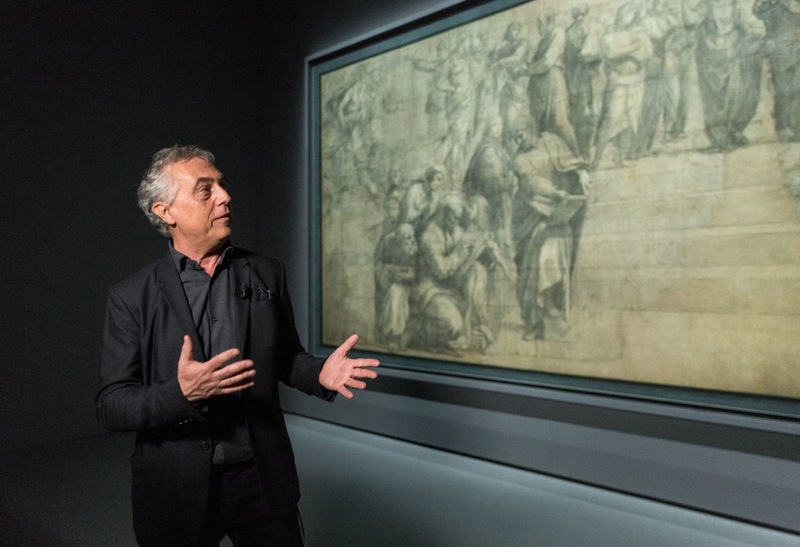 The preparatory cartoon for the School of Athens by Raffaello Sanzio, after four years of restoration, is back in place at the Pinacoteca Ambrosiana in Milan, in an exhibit specially designed by Stefano Boeri Architetti. 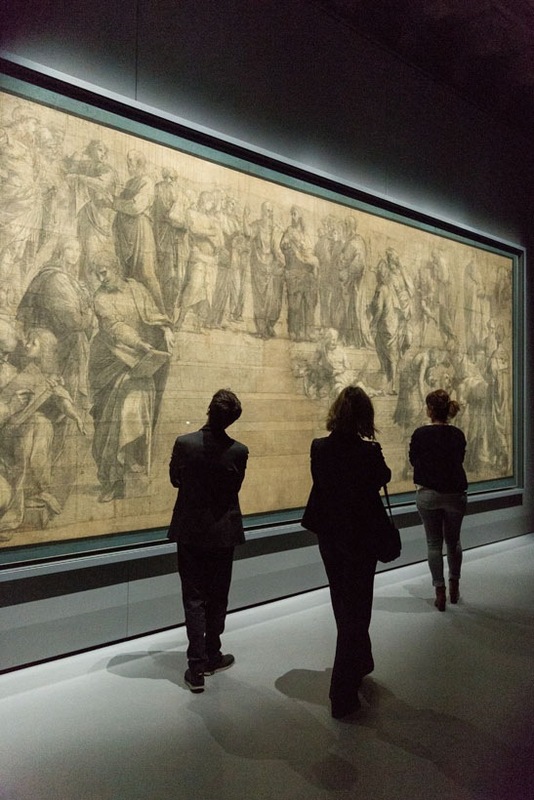 The work is the largest surviving cartoon from the Renaissance period, and is shown in a space that brings out its character as a preparatory drawing – in a showcase of 3 x 9 meters – as in a sort of school-workshop, including a table made with the collaboration of Riva 1920 to present texts and images for in-depth study of the precious work commissioned by Pope Julius II to Raphael in 1508. 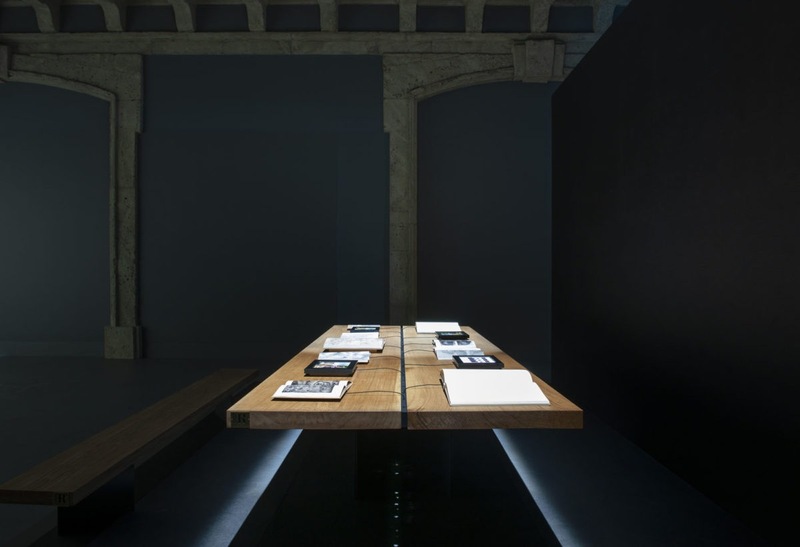 The table with a length of 4.4 meters and a width of 1.5 is made of two juxtaposed oak planks 7.5 cm thick, with a central iron channel for wiring. The base is composed of four iron spokes that intersect at the center. Three oak benches with slanted iron legs complete the setting. The restoration and new installation are the focus of the event Il Raffaello dell’Ambrosiana. In Principio il Cartone. The return of the cartoon to the museum is accompanied by a bilingual Italian-English publication issued by Electa.